You'll be £15.99 closer to your next £10.00 credit when you purchase Collecting Gadgets and Games from the 1950s-90s. What's this? and discovers which action heroes are better than others when it comes to the collectables world. …shows a product that has appeared in almost everyone’s life at some point, whether it be a sandwich toaster, microwave oven, automated toy or computer game. Daniel Blythe assesses hundreds of them, describing how they came about, how popular or otherwise they were and, particularly germane to collectors, what, given their conditions, they are likely to be worth. 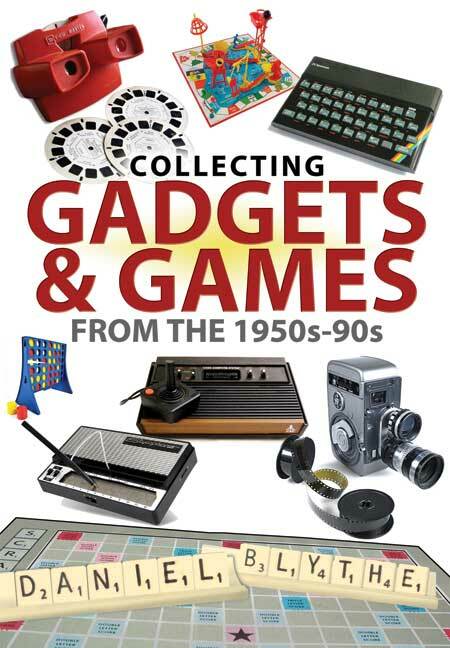 This book takes a trip down memory lane, focusing on toys, games and gadgets dating from the mid 20th century. Full of quirky facts, it is an opportunity for people to reminisce on their childhood. Every page of this book will show a produced that appeared in people’s lives at some point, including View-Master, the Rubik Cube, the cassette tape and Lego. A ‘must read’ for the retro collector.